The Waldorf curriculum is an independent and approved curriculum. It is a living and dynamic curriculum which is broad and comprehensive and is acknowledged by both the national government and the Independent Schools Association of South Africa. The curriculum is designed with the growing child in mind. It mirrors the inner development of the child, following the developmental stages of childhood year by year, and seeks to give the child experiences that are both relevant and satisfying. All the important material offered in conventional schools is taught with an approach carefully developed for each age, but the timing might be different. 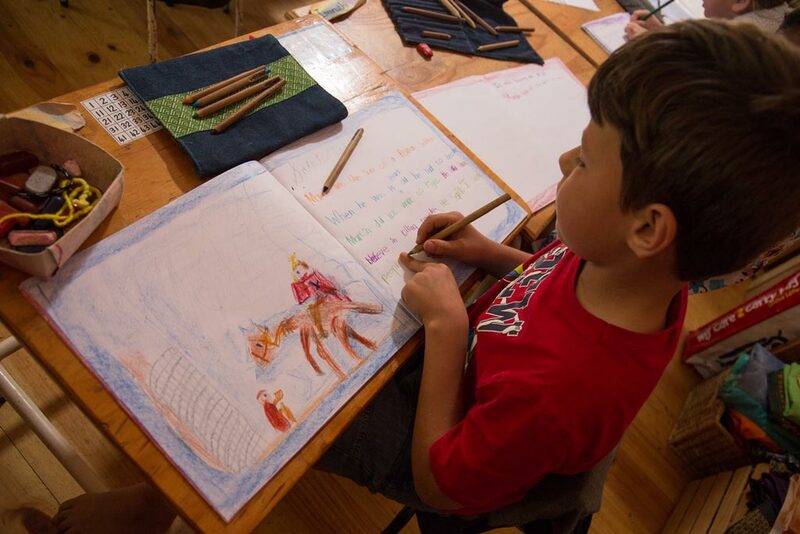 The breadth and depth of the curriculum is a unique aspect of Waldorf Education and the material covered is used as an integrated whole, with one part always enhancing another. The Waldorf curriculum and content nourishes the healthy growth of the Waldorf student. Alongside academic striving, art, music, dance, drama, creative writing, literature, legends, myths and traditional fairy tales and rhymes are not simply material and subjects to be read about and tested. They are experienced. Through these experiences, Waldorf students cultivate their intellectual, emotional, physical and spiritual capacities to become individuals who are more aware of their direction into the future and how they can be of service in the world.